Often, we make the mistake of looking at things too broadly. We look at the long road ahead, we think of how much work we have to do, we worry about what can go wrong….. and it all serves to weigh our hearts and feet down. We tend to have harsh personal expectations, and thus feel like failures if we are not able to leap straight into difficult situations, or achieve big goals overnight. In reality, big things are usually achieved via a series of small steps and actions. Thus too, is how we build-up our courage towards achieving accomplishments, or even facing down our fears. Every time we take a little step of effort towards something, it is achievement. It is movement. It increases our courage and confidence. With time we discover that we can take additional steps, go further, and that the things that once might have caused debilitating fear in us have been conquered. It is important to remember to be kind to ourselves. To be encouraging, and to give ourselves time to strengthen our “courage muscles” whenever we face anything in life that is difficult. Try to talk to yourself the way you would to someone else facing the same challenge, or striving towards similar goals. Congratulate yourself for every step—however small. It is a step, it is progress, it is a boost in courage, and personal improvement (no matter what it is you are facing, or working towards). Every little step counts, and improves. The sharp sting was followed with dread. I knew I had just received a splinter from the banister of my porch. I inspected my hand, and sure enough, along with a scrape….I could see a splinter deeply embedded up under the skin. The little bit of black was far from the path of entry, and out of the reach of tweezers. Initially I told myself that if I left the splinter “be” (ignored it), that it would eventually surface on it’s own, and then I would not have to do anything painful. However, I quickly discovered that I was hindered by pain when I tried to type, or do other important tasks. It became obvious that I could not just ignore it, or hide it behind a band-aid. I so wanted to convince myself that it would resolve on it’s own, but recognized that it would just fester, and get worse unless I faced it, and took action. So, out came the needle. It hurt. I had to break the skin, and poke, dig, and prod…. but eventually I pulled the offending piece out. I then discovered that there was a tiny broken bit that remained. Once more I was tempted to just leave it, but knew it was best to attack it with the needle as well. Despite the broken skin, I instantly felt relief. So too, is the result when we face the difficult things that burden our hearts and souls. Sometimes we ignore things that hurt, and bother us…because to address them would require facing uncomfortable truths, and making difficult (and even painful) choices. It can seem easier to ignore the issues, and tell ourselves excuses and justifications to cover-up, and avoid the truth. We want to believe that it will magically resolve, change….or that with time, we will be able to learn to live with, and around it. However, just as a tiny sliver in our hand can handicap us, so too can be the result of tiny barbed seeds that burrow into us on emotional, spiritual, and mental levels. Guilt, discord, resentment, unresolved problems, doing things we know that are not right, or that do not align with who we are—all plant dark seeds within us that do not simply dissolve. It often results in self-dishonesty, and even creating elaborate means within us to ignore, and deeply bury the issues. All the same, just like an ignored splinter…. those seeds can grow, fester, and lead to much greater wounds, problems…. and destruction. Sometimes we carry weight and damage for years. Those seeds come in many forms—including the need to apologize, forgive, or address mistakes that we have made. At times, we may be faced with the need to distance ourselves from people we care about, but who pull us down, and harm us in some way. Typically, the choices and actions required to resolve these kind of issues involve pain, and even hardship. It is all the harder when we do not want to hurt someone else, or fear having to start over in some form (which is often what happens when we address mistakes). However, once again… just like with what happens when we break the skin to dig-out an invading splinter—we find relief. The pain we have to face and create, relieves the pressure, and frees us to heal, and move forward without that which was debilitating us. I once saw a hand that was rotting from gangrene. I worked in a pharmacy at the time, and a man suddenly shoved his hand directly under my face. The skin was green, puss-filled, and rotting. It smelled like bad meat. The wound initially had been a minor injury, but had progressed when ignored and neglected. When questioned, he said he refused to go to a doctor (and had nonsensical reasons behind that stance). We tried to convince him that it was beyond an infection, and that he was risking the loss of his hand. He refused to listen to us, and wanted to believe that simply covering it would resolve it. So too, is what happens when we ignore issues that hurt us on internal levels. When we ignore a mistake, we can become caged by it. We will move forward in the wrong direction, and pile-up additional mistakes that can lead to a nasty destination. Yet, when problems/ things that are wrong are addressed early-on, we can avoid greater mistakes and pain—and creating it for others as well. As much as we sometimes want to avoid hurting others, what we ignore and lie about (including to ourselves) WILL eventually surface…and often it will grow to proportions that create destruction and pain on levels far beyond what would have occurred had things been addressed sooner. Ignoring problems does not spare others, it just insures that instead of giving them a bruise, you eventually will cause deep harm to them. When children get splinters… we hold them down, and root-out the damaging pieces— even if they scream, cry, and protest. We do so because we know it is what is best for them, and that the created pain will only be momentary….and then they will be free to return to their play. We know this, yet will ignore doing it for our own selves—both literally, and figuratively. It can sometimes be hard to recognize when we are avoiding it, especially when we have created a tangle of justifications to block our view. A good indicator…is when it continues to surface, even when we have previously convinced ourselves that it was fine, or even resolved. When we lie to ourselves, or do things that do not align with us…. our core self/ soul knows it, and will continue to prod, and push at us. That unease will remain, and molder…. no matter what we do to shove it down, and ignore it. The moments where we succeed at convincing ourselves things are fine, or even great…. will only be temporary and not hold—-because it is false, and not true. In order to relieve ourselves of a harmful splinter, we have to face some initial pain. The same truth applies when we have to free ourselves from deeper internal issues, and mistakes. However, once we make those choices, and are honest with ourselves (even when it is painful and difficult to do), we often feel a massive weight lifted from within us. That is how we know that we truly are making the right choice. We feel the peace that results when our soul is finally completely relieved of what was wrong, and not only hurting it….. but crippling it. Thus, it is important for us to strive for self-honesty, and to face the difficult things. Doing so frees us, spares others… and steers us in the direction that is true to ourselves. While interacting in society, there are certain standards, unspoken rules, expectations, manners etc…. that we tend to use as guidelines in our interactions. Many of these “rules” are designed to maintain fairness, and to create consideration of others—typically things such as holding doors open, waiting for your turn, and stepping aside/ not blocking the way for other people. However, I occasionally witness situations where people are so focused on their own selves, and what graces they feel they are entitled to…that they overlook factors that should result in bending those “rules” in favor of consideration of the circumstances of others. Today was a prime example of such a situation. I was stuck in the dreaded post office line. There were at least a dozen people ahead of me, and only two employees were providing assistance….so the line was very slow-going. Shortly after I joined the line, an elderly woman with a cane claimed the position behind me, and then was followed by a man who appeared to be in his thirties. The woman found a form that she needed, and while we were waiting in line, she used the counter next to us to fill-out her form. The man started to make irritated expressions and poses, and then progressed to verbal complaints aimed at the woman. He expressed to her that she should have filled-out her form before getting in line, and that it was not fair to him and others. He displayed his own package, and proclaimed that he had filled everything at home, so he should be in front of her. The woman was clearly shocked that the man was complaining to her, and explained to him, “I would have, but I did not have the needed form at home (and she did have several envelopes that were already addressed and stamped)”. The explanation the woman provided did not quiet the man. He retorted back in a condescending tone, telling her ( unreasonably) that she should have picked-up forms to have at home in advance. He then proceeded to talk about how inconsiderate she was, and that it was not fair that she was in line. The poor woman was clearly baffled and not even sure what to say, and finally just asked him, ” Are you from New York or something?”. I normally keep quiet. I typically do not like to rock boats, or get in the middle of things with strangers, but the poor woman was being bullied…so I spoke-up. “Well, stating something like that does the opposite of demonstrating those things.” I knew as it came out that it was “snarky”, but at the same time felt it was a truth. The elderly woman chuckled, then gave me a big relieved smile. However, the man did not stop. He chose to again complain to her, and tell her that she should let him go ahead of her ( despite the fact that she was done filling-out her form). Ignoring the man, I turned to the woman, and asked her if she would like to go ahead of me. The woman shuffled in front me, and then reached-out and gave my hand a squeeze in a silent thank-you ( despite the fact I had been coughing and blowing my nose throughout it all). I kept my back turned to that man, and did not say another word to him (I had no desire to get involved in an actual confrontation). I considered my body to be a barrier between him and his target…..because he would have continued to harass her had she remained right in front of him. The woman was elderly. Her cane, her hunched posture, slow movements etc… indicated that she was not in good health, and that it likely was a strain for her to have to stand for a long period. The line was slow, and filling-out the form while she waited was not holding anything up. That man chose to ignore all of those factors, and was mean to someone (an elder he should have respected, no less), all because he felt he was being denied something that was his due—a minute less of having to stand in line. He truly thought that he was in the right, and that the much older woman needed to be educated on manners. In reality he just was using bully tactics to try to get her to feel guilty, and give-up her place to him. He was the one who should have been considerate of her needs—those factors should have trumped any “rules” regarding who should have been next in line. It is always good to be polite and respectful of others. We should wait our turns, but are also within reasonable rights to remind someone (that we see cut into a line) that we were ahead of them….but there are always exceptions. We should be aware of others who have needs greater than ours, and shift our expectations accordingly. Letting someone who is handicapped go before us, pausing in our cars to let someone standing in the rain to reach somewhere warm and dry……standing up to give a seat to someone elderly, pregnant, or holding a young child….all are examples of little gestures and sacrifices that cost us so little (often only a few seconds), and yet are the very things that make such a difference to what other people experience, and help to maintain our humanity towards one another. We cannot always expect to “have our due”. We live in a world with others, and at some point we ourselves will have circumstances where it will make all the difference for us if someone forgoes “what is due to them”. It truly can come down to, “do unto others”…..and the ability to put ourselves into the shoes of others, and be aware of their circumstances (even if we ourselves have good health, and have many years yet until we experience the physical strains of advanced age). I recognize that most who read this will not struggle with grasping this concept, but given what I witnessed today (and on other occasions), there are clearly those who do not understand. It just upsets me to see people treated poorly, or bullied in any way. I hope that I was able to at least counter some of what that man did/ said to that woman, and restored some faith that considerate people still exist. At first, I was intending to put my focus on James 1:5-6, but I decided that really the message felt more complete and supported when the following two verses are included. Life is confusing. We wade our way through complicated, and sometimes even heart breaking choices. We have to try to differentiate between what is essential, and what is not truly good for us. Additionally, the world often pushes us in directions that conflict with teachings, and it can be difficult to resist those kind of lures— especially when we see so many others “indulging”. Temptations, desires, weaknesses, fears……all are personal inner obstacles that can cloud our judgment, and make it difficult to see the truth in matters. So where do we turn? How do we find true answers that will turn us in the right direction? We pray. We ask our Father for guidance and wisdom. Essentially, James 1:5 tells us that He is always there. No matter the circumstances, no matter what mistakes we have made. If we are in need of help and answers, we can always turn to Him. When we reach for it, ask for it….. that wisdom is available. For me, “liberally” gives the impression of something that will be given in great bounty, and that it is something limitless, and even eagerly waiting to be given to us—but that we have to seek it, and open ourselves to receive. “Upbraideth not” informs us that no matter what mistakes we have made, that guidance is still available to us. We will not be denied, or somehow cast away from His love and help. We will not be “condemned” or given a virtual cold shoulder. However, we do have to seek Him (and those precious answers), with an open heart and mind…..with pure faith and trust. In order to be open to receive, we have to be prepared to lay everything else aside. We have to be willing to lock-up personal desires, and what we hope the answer will be…. in order to truly trust, and accept what it is that we are given. “But let him ask in faith, nothing wavering. For he that wavereth is like a wave of the sea driven with the wind and tossed.” If we waver, if we doubt, if we want to lean on our own limited view point, knowledge, fears, and temptations…..then we harm our own selves by creating our own barriers that block us from that knowledge. Basically, we cast ourselves adrift, and leave ourselves exposed to “the elements”(things, choices, people etc… that can harm us), because we will not be anchored in Him, and thus not have the guidance that can help plot-out a course for us that will steer us to the ultimate destination, and help us to avoid perils. Imagine randomly jumping into our cars, and hoping we will end-up someplace good that will provide happiness, peace, and solutions…..but doing so without turning on the GPS. Sometimes we may think we have turned it on, but really we have the volume on low, and are blasting music that drowns it out (essentially allowing our own inner chatter, desires, and chaos to overrule/ drown out what we ourselves asked for, but are not truly willing to receive). Sometimes when we are blocked from hearing, He may even try to hammer through it and present us blatant answers via placing obstacles in the road, and blaring neon warning signs at every turn…..in attempts to help clear our vision, and open us to the knowledge that we desperately need. However, if we are not willing to see, hear, and trust…. we will just keep blindly driving willy-nilly on our own, and at the risk of creating hardships for ourselves that otherwise could have been prevented. “For let not that man think that he shall receive any thing of the Lord.” It is a warning. If we do not trust, if we “waver” and lean in other directions, or if we put our faith in other sources (or let our desires, fears, and temptations dictate our choices)……then we should not expect to get true answers. In a way, it also may be explaining that if we “seek”, but do so without turning the volume on, and everything else down….. we are at risk of telling ourselves that the answers we want are spirit-led, when in reality it will be grasping for what we want the answers to be, and acting at our own risk and consequence……because it is not possible for it to be anything else under those kind of personal conditions. I think perhaps one of the reasons this was made clear, is because often people will make choices based on their own desires, but when it results in destruction….. they then blame, and feel like they were somehow deceived, or led astray by God, when in reality they had denied his help. It further hurts us (and our faith), when we are misguided in not only what leads to our choices, but also if we are unable to be honest with ourselves, and see what the true cause of our mistakes was. We cannot be made whole by tearing ourselves in two. We cannot have two masters. Essentially, sometimes we can end-up in situations where we are torn. We may want to be open to the spirit, to allow Heavenly Father to guide us, and to follow His plan for us. Our heart may know what is true, and we may even strongly believe in the gospel, and want to follow it…..but we also can become internally divided, and pulled in other directions, especially when we let our weaknesses and temptations cloud, and control us. Thus, why someone torn between two directions (“double minded”) essentially will be unstable in their actions and choices—it is the very nature of what results when a great contradiction is at play within someone. It causes a person to teeter, and shoot around like a pin-ball that is being slammed by opposing forces. It creates an inner battle. A person will flip-flop, and desperately try to find ways, justifications, excuses etc…. to make those two very opposing pieces fit, no matter how impossible. When we want, and do things that do not align with what we believe, and truly want deep down….. we tear our self in two. We create an inner injury….a rift. In order to live with that “rift”, we have to uphold dishonesty with our own selves in order to find a way to maintain both “masters”. We lie to ourselves, we lie to others, and we lie to Heavenly Father. Being double-minded is perhaps one of the most dangerous, damaging things that we can inflict on our own selves. In our effort to make the contrasting pieces fit, we may try to convince ourselves that what we are doing is something we have been guided by the spirit to do, or that somehow it will result in guiding us closer to Heavenly father. No matter how backwards our actions and desires are, we may try to tell ourselves that it all eventually will lead us to being true to our beliefs, and what we really want—because deep down, that is still what the deepest true desire and longing is. However, it just does not work that way. We cannot possibly be open to receive divine guidance when we are torn, and being dishonest. We cannot get to where we really want to be, if we move in the opposite direction. In the end, we can only have one “master.” From what I have seen, there tends to be four stages in this kind of internal battle. We debate. We stress. We feel the “chafe” of the contradiction when we want something that does not align with what we believe (and who we are/ want to be), and with what He wants for us. We likely are still able to at least partially see how things conflict, and are not right…..and maybe are even still open enough to get “nudges” from the spirit to try to help us see things more clearly. However, whether or not we follow those promptings determines if we are able to open ourselves, listen, and let go of what is creating the harmful conflict…… or if we progress to the next stage. We Justify. We try to make things fit. We attempt to convince ourselves that the “wrong” is really right, or that the means will somehow be justified, and made right later. We blind ourselves to the things we do not want to see, and to the things that cannot be justified. We form disconnects within us in order to establish some kind of “peace” between the factions that are at war. If we do not look at what is wrong, then we can pretend that it is “right” and “good”. All of this completely blocks us from being open to the spirit. How can we claim to be open to, and even led by Heavenly father, when we cannot even be honest with our own selves? When we ignore our own inner alarm system that sounds off when we do things that do not align with our core self/ soul? A “side” eventually has to win. If we continue to lie to ourselves, and make bad choices that lead us astray (all the while telling ourselves falsely that it is what He wants for us, or will somehow lead us to following His plan…. ), we bit by bit will hand ourselves over to the other side. We will blindly ease into the other direction, and it will eventually become “normalized”, and thus all the harder for us to discern when we are going astray. It will become easier and easier to move away from the shore, and to tell ourselves it is a good thing—all the more so because we are completely without any guidance. Eventually, we will find that we have reached the other shore, and can no-longer even see the original—that we have ended-up choosing the “other master”, no matter what guise or lies that we placed on it to ease our wrongful choices. 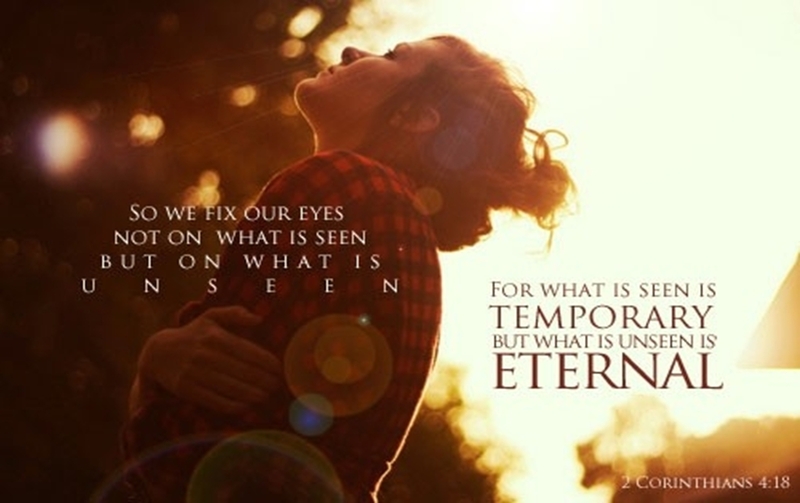 We can always turn things around, because His love, wisdom, and guidance is always there waiting for us. We simply need to ask, trust, and sincerely follow what it is that we receive/ are given. We need to make the choice to earnestly have faith, and to put other things aside. In doing so, we rely on him to provide us with what we truly need. We can be made whole again. We can move forward whole in spirit, heart, and mind, without the guilt, self-injury, and “chafing” that results when deep down we know that we are gaining something via doing what does not align with what He wants for us. It truly all comes down to our willingness to allow ourselves to be helped, and guided. He is always there for us. We are the ones who at times can become inconsistent, blinded, or blocked….. and I think that is an important thing to always consider, and remember. Once upon a time, relationships were largely private interactions between two people. We of course would hear gossip down the line, or know of the circumstances of those closest to us….. but most everyone else was in the dark about the particulars. However, the introduction of Facebook (and other social media sources) has drastically altered many aspects of relationships—which is to be expected when there is an available audience for what should otherwise be something intimate and private. At times, instead of being a relationship between two people, it can become something opened to the rest of the world, and even in a way about, and for that audience. 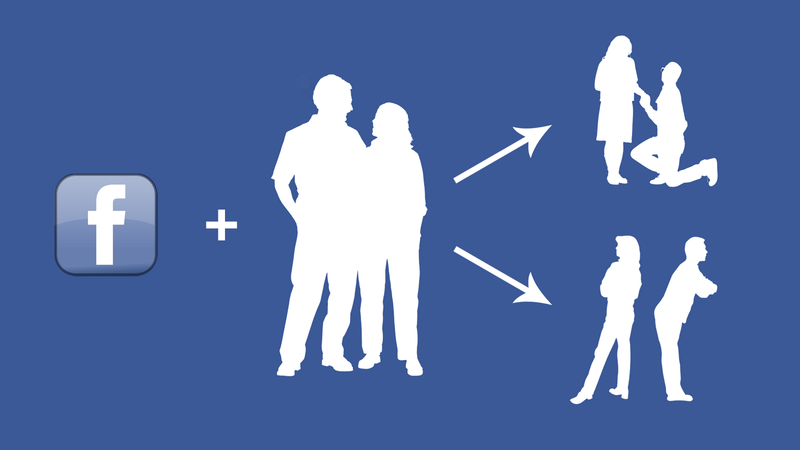 In reality, Facebook does not destroy relationships. It just brings to light what is wrong with them. Problem indicators can be helpful warning signs. Over the years I have heard countless clients detail relationship interactions on Facebook—including using it (or others using it), as a manipulation tool. They put great importance on what happens, and does not happen on those public walls, and sometimes even break-up with others over perceived slights and omissions. When a client mentions Facebook, I can’t help but have an, “Oh no, here we go….”….response. What follows is rarely something healthy, or good for the relationship situation. In what ways does a person’s Facebook activity reveal problems, and potentially self-focused/ manipulative intentions? Many. This article will detail warning signs, and explore the areas of seeking personal validation, manipulation methods, and issues with public break-ups. Bare with me, there is a lot of ground to cover…but those armed with the following information may be able to avoid problematic situations and heartbreak. Relationships are obviously very personal and intimate connections….they involve two people sharing of themselves with each other, creating a bond, and possibly even striving to build a life together. However, things can become distorted when people see relationships as a vehicle to gain attention and validation from others. Too often people have idealistic notions of what love is about. They glamorize things in their heads, and fantasize over engagement photos and dream wedding plans in exaggerated, single-focus ways (which in itself is a warning sign—marriage is not just about a single, sparkly attention-receiving day). They view a relationship (or rather someone loving them), as a way to gain adoration and attention from others. In much the way some people may feel good about receiving recognition from special achievements (degrees earned, skills mastered, awards, career advancement etc…), some people view relationships as the ultimate method to gain attention (for themselves), display achievement/success, and even somehow receive a form of personal validation. “Look, this person loves me, so that means I am special and successful.” In a sense, it sometimes becomes more about them, the other person loving them, and getting attention from others (and getting to act out their fantasy notions of love)….than about the relationship itself, and truly loving the other person. At times it can reveal a lack of respect and understanding of the true meaning, and importance of that kind of bond and commitment. It can even result in using people. There is a distinct difference between sharing joy and special events with people, and “showing off”. It typically becomes obvious to those viewing, because it becomes prolonged, and over-done. It is expected and understandable at initial onsets (when people are excited, and want to share the news), or to share special events (anniversary, vacation, holidays), but when someone posts constant pictures of even mundane moments (“Look, here we are folding clothes! Aren’t we the happiest couple ever! ?”), and appear to do so with the expectancy, and hope of approval/ feedback from others… it telegraphs more as someone wanting to see others admiring, and verifying them (and the relationship). Pay attention if a person seems to view their friends and followers as a personal fan base, and if they assume that everyone is waiting with baited breath to admire relationship updates. Some people think that sharing lots of pictures and cutesy things will prove to everyone how happy and perfect their relationship is, but often those viewing see the opposite (and become less likely to click the like button as they watch the pattern unfold). It comes across as insecure, and as needing to prove how great things are. In reality, most secure couples do not have the need to telegraph every moment together, or share intimate exchanges on their public walls—the relationship is about them, not the rest of the world (thus there is no need to have their relationship approved or admired by the world to make it good, real, or a happy situation). When you are solidly sure of something, you do not need to prove it, or convince others.You certainly do not see it as a source for personal admiration. I have distinctly noticed that it is largely younger clients who struggle with the misuse of Facebook when it comes to their relationships, which really is not surprising all things given. It is always smart to pay attention to how someone portrays your relationship in public/ on social media to others— it can serve as a means to reveal if their relationship focus is really on the important factors, or if it is something more self-serving, and about gaining attention and validation. Even if the issue stems from having low self-esteem or self-worth, it still is a negative sign. Relationships involving people who are depending on the other person (and relationship) to help them form an identity, and a soul source of happiness…. are rarely lasting because they are formed for the wrong reasons, and are not balanced. Scratch the sparkly surface, and unpleasant things will be discovered. Sometimes people are more in love with the idea of being loved, and assuming that others (again), will see them as being special because of that. Things to pay attention to? *Do they seem to overly anticipate, and watch for “like” clicks and comments from others after posting things involving the two of you? *Does it really make them excited when lots of people respond– and on the flip side–do they complain, and seem upset or negatively affected when not many people have “liked”, or given feedback to a post? (Huge sign that they put a lot of focus on the attention from others, rather than the relationship itself). *Does it frequently feel like they are looking for opportunities to take pictures for the purpose of showing others ( instead of for personal memories), and do you ever feel like special intimate moments are being interrupted because they want to take pictures, or post something to the public about what the two of you are doing (essentially bringing others into your personal moments)? *Do they make you stage things/ events for the purpose of creating pictures to display to others? Meaning, instead of going with the natural flow and course of things, do they want to make things “just so”, and seem more focused about how it will look to others, rather than creating special moments and memories just for the two of you? *Do they alter details about events and circumstances that they share (exaggerate, blur, omit, or even flat-out fabricate), in order to make it (and the relationship) seem more appealing, romantic, and exciting to others? *Do they share private details about you (or the relationship) to the public that you otherwise would not want shared, and without your permission? Do they dismiss you if you address them about those issues, or continue those practices after you have asked them to have more discretion (which indicates they are favoring public attention more than your feelings, privacy, and comfort levels)? *Do they rarely post pictures of just themselves, or you alone? Are all of their posted pictures focused on the two of you together, even their profile picture? Such as—do they feel they have to always display themselves as connected to you, and remind people they are connected to you? Do they appear to no-longer have an individual identity? *Do they get upset with you if your profile picture is only of you, and not the two of you? Do they seem agitated when you post things not involving them, or if others tag you/post things on your wall ( due to not being involved, or feeling like it is detracting from the posts about your relationship)? Do they express that they think others will assume that you do not really love, or are committed to them… if you do not include them in most everything you present on Facebook? *If you, or others post on your wall about something not involving them, do they follow it with posts of their own seeking to push the other posts down, and steer attention back to them (or the relationship) in some way? *Do they get upset if you do not share pictures and events involving the two of you? Do they press you, apply guilt, become emotional, or any other tactics to get you to share things on your end on Facebook? Do they have negative reactions if you do not click like, or comment on the pictures they post of the two of you, even if you have already seen them previously? A couple of years ago a male friend shared with me that he had come to realize that he often felt like he was a character in a play that his girlfriend was putting on for others, and to enact the fantasies she had previously constructed. He felt like much of what they did together was more about gaining material to show-off to others, and to present a dream relationship others would envy, rather then being about the two of them truly connecting. Anything he wanted, or did that did not fit in with her fantasy visions and what she wanted to present, was met with guilt trips, dark moods, and even accusations of not really loving her… until he was worn down into conceding and playing along in order to keep her happy, and maintain the relationship. She was unable to alter her pre-established relationship game-plan to adjust to the actual person she was with (and what his needs, preferences, and interests were), in large part because her plans were focused on creating the appearance of love for others to admire, and filling in the blank with someone…. rather than truly exploring and creating unique experiences focused on just the two of them. Sadly, it is a scenario I have seen many times, but most often people do not gain the awareness that man had, but rather play into it without recognizing the warning signs that indicate focus is not being given to what should truly be important in order for the relationship to be solid and lasting. People sometimes are willing to hand themselves over (and do things they normally would not do) to make someone else happy, all in the hope that it will result in maintaining the relationship, and in-turn being happy themselves. People ignore warning signs because they so desperately want the situation to work, and to not have to go back to being alone. The ironic thing is, the majority of like-clicks and comments do not really prove, or validate anything. Most people will blindly click like and say “Congrats!” on anything that involves a happy event or milestone, regardless if they do not have any actual knowledge of the situation, or of the people involved….thus it doesn’t prove much beyond people being nice. I saw the proof of this first-hand. Last year for April Fool’s day, an old friend ( internet-based, lives across country etc…) and I posted a prank engagement to each other. I had recently made a reference about being single on my wall, and had never indicated anything about being in a relationship. Anyone could have looked at our profiles to see the different states, and large age difference…..not to mention the announcement date itself should have made it obvious that it was a prank. However, I awoke to discover a bounty of like clicks, and well wishes from people connected to both of us. We were both baffled that anyone had believed it, because we had assumed people would just respond with, “ha ha nice try”…… and yet, people automatically clicked like because they saw notice of a life event, and wanted to be nice…..and they did so without even looking at the obvious factors which revealed that it was a fake scenario. Thus, when someone puts a lot of focus and importance on social media responses and validation, they really are putting more value on empty automatic clicks and sentiments than on focusing on developing a true, secure relationship. Unfortunately, Facebook is a great tool to use to manipulate relationships, because when other people are viewing, it creates pressure and expectations that would not exist if the relationship was developed in privacy. Many people are fully aware of this, and thus use that audience to their advantage to push their agendas. There are many tactics and forms of manipulation, and often it can be difficult to see what the real intention is due to the sugar coating. Clients report posting comments and hints about activities with someone (tagging them so it goes on their wall as well) they are dating in order to make others curious and aware, and thus to push the other towards commitment. It can be hard to really make a choice about a relationship for your own self once others start asking questions about it, showing approval, and even appear to be rooting for the relationship to develop (however, yet again, it usually is simply people being “nice” rather than having specific, personal opinion). Many people understand that making something public helps to “cinch” the relationship and push it forward due to the creation of awareness and expectations. It is harder for someone to decline, or back out of a situation once it has been made public. Thus, it is involving other people into what should be private and intimate choices. It is especially concerning if someone starts pushing things on Facebook not long into dating, or before there has even really been a chance to get to know each other (let alone determine if it is going to be a committed situation). Premature public sharing indicates that someone is over-eager to make things happen without even knowing if it is the right match, and also (once again) desire attention from others (thus they likely have those distorted self-serving reasons and love idealization at play). Over and over, I have seen people freak-out ( men and women alike) when someone they have only started to date and consider, starts posting on Facebook. The smart ones understand that it is not about someone being madly in love with you (especially when they barely know you yet), but rather signals large warning signs of many potential problems and twisted intentions. People desperate to have relationship perks and attention, and to be “filled”… push for things from the get-go, while those who are focused on truly getting to know someone, and insuring that a situation is solid and a right fit…. take time to make their choices, and do not see a need to involve the public, let alone to let others factor into something that is so personal and important. Love Bombing. Love bombing is a clinical description for those who hit hard and heavy early into new relationships in order to try to secure the situation fast. They want to convince the other person that they are perfect, everything they need and dream of, and that they are so in love with them, and are offering the best thing that they will ever find. They shower compliments, sentiments, instant claims of being soulmates… and typically will do all of this from all angles, and on all platforms possible. Text messages, calls, emails, pinterest, facebook….. it all becomes tools that can be used to smother the person with “love”… even if things are still very new, and much is still unknown about each other (and if they are truly compatible). They post memes and quotes to display and prove their love and devotion, and again, also involve the public because they want to convince everyone else how much they love, and how perfect they are for that person as well. The intense sudden showering of “love” can create powerful reactions in people, especially if they were previously very lonely. It also can make them doubt their own hesitations and concerns, because the other person strives to convince them that they love them so much that it has to be a sure thing, and that they are wrong to question something so obvious. Thus, why it is called “love bombing”. Gas Lighting is also the technical name used for manipulations that aim to make a person doubt their own feelings and perceptions. People who use these tactics often suddenly stop with the lovey quotes and hearts once they feel the relationship is “in the bag”…..but will pull it all out again if ever the other person starts to express doubt, or attempts to end things. They once again want to steamroll, and twist them around into thinking their concerns are not real, and that they will be walking away from someone so loving (when in reality, love bombing and gas lighting are used as intentional emotional manipulations that disrespect the boundaries, thoughts, feelings, and choices of others… it is all very self-serving, and reveals a lot about a person when they use those tactics). It makes it all the more difficult for the person when all of those sentiments are shared in view of others, at a time that they are considering ending the relationship. The manipulator knows this. They understand that if they post huge displays of love, that it could potentially make the other person look bad in the eyes of others if they appear to suddenly leave the relationship not long after (and many people will stay in unhealthy situations due to fearing negative public reaction, or people thinking they are a bad/ selfish person if they leave). It can all serve to corner someone, and make them even feel guilty for having doubted the other—and thus they lose trust in their own self in favor of what the other person wants to convince them to feel and believe. Personal sentiments. Some things just truly are only meant to be shared between the couple. However, some view posting those kind of things in the view of others as another way to “cinch” the relationship, and validate things. They post, ” I love you” and intimate mooshy things that otherwise should be a private exchange not involving (or about) anyone else. However, posting it in public means that not only are they showing-off their “love”, and attempting to prove to others how much they love the other….. but they essentially set the other person up in a way that they too have to respond, and say, “I love you” back to them in front of others—all of their family, friends, and professional colleagues. It exploits the relationship, and feelings that should be intimate. It again reveals that someone wants to gain attention via the fact that someone loves them. Those kind of “shares” also again serve to love bomb the person, create public awareness, and make it hard for them to back out of the relationship. Ultimately there really is no healthy reason to share personal exchanges like that with the public…. there almost always is a self-serving motive behind it. “If he says it back to me in front of others, it will prove both to me...and everyone else… that this is all real, and he really loves me! He will never be able to leave me if he says it in front of everyone!” Once again, when a relationship, and the feelings involved are secure…. there is no need or desire to prove it to others, let alone make the other prove it for us. Irony can (yet again) be found in attempting to convince others of the existence of love via proclaiming it on Facebook. Most people know that those kind of things are supposed to be intimate and private, thus when it is posted in public…..it is obvious someone is seeking to prove, show-off, and receive validation. It essentially backfires via communicating to others that it is possibly an insecure situation. There is a reason people tend not to click like on those kind of posts, and maybe even make snarky, “Get a room”….or “ewww”….comments. Typically they are trying to hint that it is odd for those kind of exchanges to be put on public display, and thus involve others who should have nothing to do with the relationship. This is the reason why many have made a plethora of ecards communicating the obvious flaws seen when people over-telegraph their relationship. However, those who post the drippy sentiments are not only blinded as to why others will not see it as proof, and something to admire…. but that they also display to others their misguided, and shallow understanding of what (and who) love and relationships are really supposed to be about. The loss of relationships can be some of our most difficult, and heart-breaking life experiences. There are many difficult emotions, personal details, situations, and choices involved. Break-ups often involve anger, heated exchanges, and having to face uncomfortable truths. It is difficult to sort through in private, let alone to have the situation play-out in public view of others. Essentially, Facebook can provide a billboard that disgruntled, vindictive people can use to air private details in front of everyone the other person knows. People use facebook to gain validation and sympathy, especially when they are someone who is insecure to begin with, and cannot stand for anyone to think that the break-up was in any way their fault. They typically want to blast the other person in order to make them look like the evil one…. but also to hurt them in the form of potentially shaming them in full view of those whose opinions matter most to them, and maybe even to harm their professional relations, or future potential for relationships. I cringe every time a client tells me of their revenge tactics they deploy on facebook. Some people are blatant, while others are passive aggressive with vague posts, rants, and quotes/ memes ….knowing full well other people will figure-out what it is all about. They typically have intent to stab virtual daggers into the other person, or want to attempt to make them feel guilty. Ironically, some people even do these things despite still hoping the person will change their mind and come back to them…. they think that all of the posts will somehow convince them that they made a mistake, or that they will even get back together with them in order to save face, and prove to others they really are not the horrible person depicted. If someone previously love-bombed, and manipulated to show others how perfect and loving they were for that person, they then can attempt to use all of that established past public history to try to support their case, and get others involved. They want the attention of sympathy, they hope people will take their side, and in a way they often are manipulating people to question the other person and situation….. again for self-serving purposes of either validating that they are so good that someone would be crazy to leave them, the problem is not in them, or to try to get others involved in forcing the relationship to reconcile. Scare tactics. Sometimes when a couple is having some kind of dispute, one will start posting comments and quotes making it sound like the relationship is over, and that they will be great on their own. They want to scare the person into thinking they are done, and will be fine and dandy without them (and of course will soon find someone else). They hope that those kind of posts will create panic in the other person to help scare them into dropping the dispute, as well as to make them do what they want. It is all about calling bluffs, and believing that they are capable of quickly moving on to someone else. I cannot even begin to estimate how many times I have tried to talk people out of posting not only the above tactics, but also using facebook to talk about fake dates, and other things suggesting that they have “already moved on”…. in hopes that the other person will see it, and come rushing back, and then do whatever they require to prevent the imaginary new relationship that sprung out of no where overnight. Usually these kind of manipulations are obvious and backfire, but unfortunately it does sometimes work on those who are terrified to be alone, and who are willing to concede even important things in order to maintain the relationship. When those kind of tactics succeed, it results in showing the manipulator that they have the control, and can easily influence, and scare the other into their agendas (and staying in unhealthy situations). In reality, people who truly are in love do not just switch gears like that, and quickly replace people. The only people capable of that, are those who did not truly love to begin with, or were only in love with the idea of being loved, and having their needs fulfilled (they typically cannot go very long without a “supply”, thus why those kind of people rarely last more than a couple months without being in a relationship, and quickly move on to someone else). Even threatening that they will soon find someone else, or inventing imaginary situations are red flags. If you find yourself frequently fearing that someone is capable of quickly finding someone new if you do not behave as they require(or that they are at risk of quickly leaving you if you do not always cater to/ appease them)…..then it is important to honestly consider the reasons for believing they are capable of that. It could provide you crucial (if difficult to accept) information about the truth of the situation and person. Once again, often these public tactics serve to reveal true colors, and immaturity… and that someone is more concerned about their own self, and how they are viewed. Ironically, many who view public break-up displays will have the mental response of, “Whoa, its obvious why they had to break-up with that person!” Thus, if you fear breaking-up with someone because you know they will behave in a negative way, and publicly reveal private things, or bash you….. then you also deep down know the truth that there are a lot of problems in the situation, and with that person. It is also not worth staying simply because you fear how they will respond, and what others will think of you. You have to make choices based off of what is best, and healthy for you. It is not about anyone else. The public does not have to live with your choices. So, where is the balance? How can relationships be managed on social media in ways that do not cause damage, push agendas, or manipulate? Firstly, people do not have to completely abstain from sharing their relationship—its natural to want to share happy, and important life milestones with others. However, it is best to wait until things are solid, and appear to be certain. By waiting to change your public relationship status, you greatly reduce the risk of awkwardness that could occur if chicks were counted before they hatched, and proclaimed to the public. It also helps to avoid the pressure and expectations that result when a viewing audience factors into the very personal choices that are involved with relationships. Secondly, avoid over-saturation of posting about the relationship. Again, doing so often telegraphs the opposite of what is hoped for, and people even get kind of numb to it when they see virtually the same pictures and posts posted over and over again….. and thus turn-off from maybe even noticing when something truly important is shared. Thirdly, keep private sentiments…..private. There is absolutely no healthy reason to display those kind of things in view of others. It is not because people equate lovey displays/ interactions to something vulgar or negative….. it is because they understand that it diminishes something that is supposed to be sacred and intimate, and that should not be opened for others to view, or be involved with. And last, avoid using a ready available audience to turn break-ups into reality drama for others to view, and judge. Even if you have been wronged, or hurt…..it is better to hold your head-up, and show grace in how you handle the situation. If you feel you have to communicate how that person hurt you, and is wrong…. do so in private with that person. Do not involve others who have absolutely nothing to do with the situation—it will not help your situation, or prove anything. It especially will not help anyone to telegraph those private matters and details in front of professional contacts. Consider quietly taking things down, and hiding your relationship status from public view for a while. It is okay if people see those changes, and understand that it means the relationship is over…..in fact, it serves as a way to communicate that without having to air dirty laundry, shame anyone, or make the circumstances more difficult. It really is not the business of others why choices were made to end a relationship. If someone attacks you on facebook, it IS okay to unfriend and block them. It is not immature or petty to take protective measures when someone is actually harming you, not to mention if they are making others uncomfortable with public posts as well. If you fear someone might take that kind of action (but do not want to jump the gun on blocking them), you can change your account settings to review/ approve any posts or pictures that you are tagged in, or that are posted to your wall (that way it will minimize how many of your personal contacts see any “blasts” they do put out, and if they do post those kind of things on their own feed, you then could consider taking things a step further to unfriend, and block them). Be smart. Insure that both you and your partner are completely focused on each other, and what is best for you both individually, and as a couple. If you find either yourself, or the other person revealing signs that things are overly focused on, and dependent on the attention, response, and opinions of others… then it should serve as something to investigate to determine if the relationship is really formed for the right reasons and factors. In a very real way, Facebook can serve as a tool to reveal problems and true intentions—which in turn could aid in preventing large mistakes and heartbreak. This entry is of a personal nature…..just a bit of a life update. I keep intending to write articles, especially ponderize ones (and even have a couple entries that I have started and saved as drafts, and other ideas for future articles that I have made notes on), but time has been a commodity lately. That typically happens during December— the rush to juggle clients with holiday planning, events, wrapping etc…. so all of that limited the ability to poke around for hours at a time writing. I prepared for, and jumped into auditions last week, and am super happy and excited to be in a musical production after a long dry spell of that kind of activity. I have missed it more than I can express, especially the social aspects. So the good news is that the goals I have been working towards are being realized…..and I could not be happier. I get to sing, play with people, and not be such a hermit. As much as I enjoy helping my clients, I need to remember to engage in more of a life for my own self…..and I am striving towards that. I also am on “phase two” of sorts when it comes to my weight-loss and health goals, and have hopes ( or rather determination! ), to complete that this year. So in general, things are picking-up momentum. Last year was very difficult due to the loss of my sister, and everything just kind of shifted….and I am trying to both get back on track, as well as to improve upon many things, and “live” more ( which I know is what she would want me to do). I hope to have more time to write, and complete the drafts that I have saved later this week. Funny, I realize not many read my blog, but I just love to write and explore…. put little peeks at my inner-workings “out there” so to speak…. so I have felt the tug to get back to writing, and look forward to it. It really is a simple truth, yet sometimes we just can become blind to it. If we keep clutching the wrong thing…. our arms, heart, and mind are closed to receiving something new…. the right thing. Let it go. Its a message to free ourselves of what is not serving us, and anything that is holding us back from being where we should be, being who we should be, and achieving what we should. It could be a situation that is not working for us, a relationship that is misfigured, a career path that is making us unhappy…..but it could also be guilt, anger, resentment—negative emotions and mindsets that keep us from progressing. Mistakes. So often we beat ourselves up over past mis-steps in ways that keep us chained to the situation, and fearful to try again. We also tend to cling to, and continue on with our mistakes, and situations that are not really meant for us …out of hopes of somehow turning it around (or not wanting to even admit it is a mistake), and being afraid of losing the perceived time and investment. We fear if we let go of it, that there will be nothing else for us—that we will be empty-handed (we sometimes would rather clutch something that hurts our hands, than have them be empty). We have to have the courage to recognize mistakes, and step-away… otherwise we risk staying on the wrong path that will just keep leading us to more mistakes one after the other. In reality, the longer we cling to something that is wrong, the more damage that will happen, and the longer (and harder) it will be to turn ourselves around—and to have our arms free to receive something that is right. We are supposed to trust Heavenly Father. Trust his timing, his plan, his knowledge of what is best for us, and what we truly need. Our own understanding is limited, and often clouded by temporary desires, fear, inner noise etc….We often try to deceive ourselves, and block out both the voice of our own core self, and that of the Spirit when we are being told to set something down— that it is not what is right for us. We can bury those nudges and promptings, try to convince ourselves it is just our fears speaking… but true promptings will keep resurfacing until we act on them (no matter how hard we work to ignore the things we do not want to see and hear). We may creates excuses, or tell ourselves the nudges are just our fears of failure, but often it is our way of hiding the truth from ourselves that what we really fear is listening, obeying, and letting go—we so desperately want to cling, and believe that we can make the wrong thing work. It can be scary to relinquish ourselves to that trust in God ( and promptings), and risk those empty hands……but it is that very trust that can free us, set our feet on the right path, and bring the best blessings truly meant for us. We cannot progress if we limit our own selves, and do not even let Heavenly Father help us. Sometimes we continue to hold on to our mistakes, or things that do not fit us…. because we want to believe that if we have faith, that thing will somehow be made “right”, and then it will all work out. However, that is not always how it works. Sometimes that is the exact opposite of having faith/ trust in God. At times, it could be that we ignore his promptings, and continue to cling out of our own fears, and lack of faith. 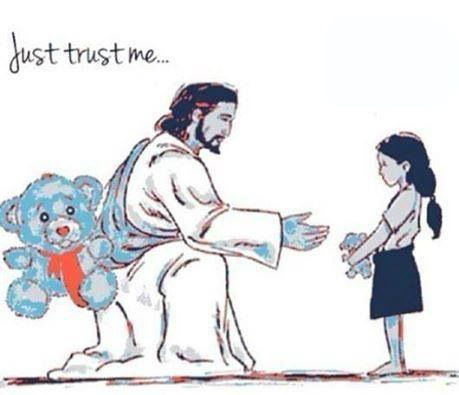 We fail to have faith that if we let go, he will provide us with something better suited to what we truly need. Its akin to clutching to a duck, and telling ourselves that if we keep holding on to it, and pray really hard, and have faith…. God will turn it into the unicorn that we really want, and need. In reality, we need to let go of the duck……so that God can give us the unicorn. Its all about true trust, and faith, and being able to recognize when we are letting our fears misguide, and trap us. 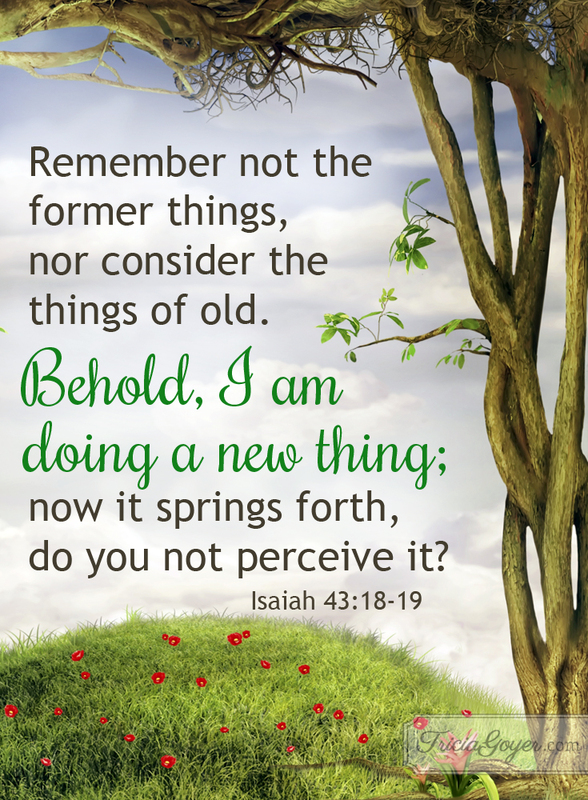 He will bring us that new thing, no matter how dark or impossible we may think it is to do so. We may see barren desert with no water in sight, a fortress of wilderness blocking us from love…. but he will be able to cut through all of that, and provide us with what it is we truly need. Once again, our perceptions are limited… and our sense of obstacles, or fears that nothing else will be available for us….could very well be wrong, and restrictive. We have to trust that he will provide, no matter how scared we are, or how bleak it looks to our eyes. At times, it could even be a test of sorts. A means to teach us so that we can build in our faith and trust. If everything is just handed to us, if he turns all our ducks into unicorns….how would we learn and grow? True trust, is when you can let go, let yourself fall backwards…. and have faith that arms will catch you. If we remain rigid, and cling… if we are not able to let go…. then we are telling him that we do not really have faith in him. Its a harsh thing to think of, but so very true. Its just like the “trust fall” experiment—if you stagger, catch yourself, or even completely refuse to let go/ let yourself fall back…. you communicate to the other person that you do not have trust in their ability to catch, and protect you. So what does it say to Heavenly Father when we ignore the promptings to let go of something not meant for us, and refuse to let him catch us, and provide for us? It is scary. It is hard. It is supposed to be. In order to grow, improve, and be open to receive the things meant for us…. we have to let go of the things that hold us back, and send us into the wrong directions. Mistakes teach us what is wrong, and what hurts us… so that we can truly know first-hand what is right for us, and where we should be, and where we should put our trust. Mistakes teach us how to trust, and the need for it…. but we have to let go in order to learn that. Following promptings, and letting go…. is how we demonstrate, and live our faith. It is how we open our door, and our arms… to Him. He will always provide.